Gather and organize customer needs using a range of formats such as reference documents, emails, or photos of whiteboard sessions. Quickly locate and track original ideas and concepts to ensure clarity over the life of the project. Effective and efficient communication across multiple teams, initiate discussions by topic and keep track of accepted changes as new ideas are introduced. 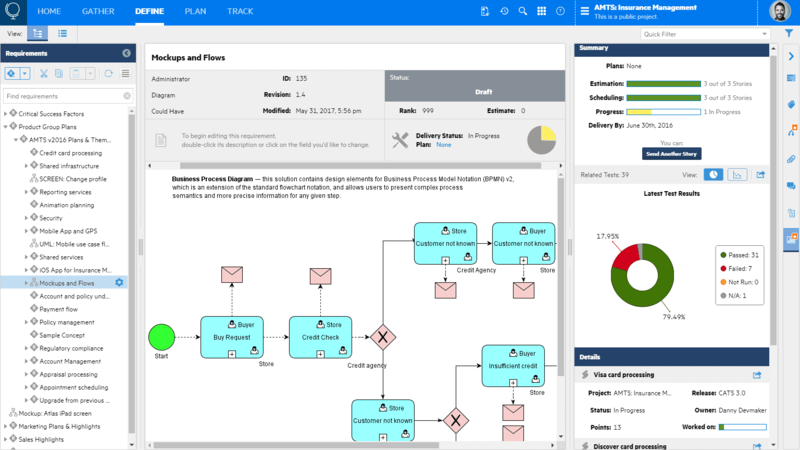 Integrates to Agile tracking tools, to send requirements directly to delivery team backlog, and collect and consolidate delivery status for each element. Use Atlas version control to track changes and understand the impact on associated requirements and downstream assets. Provides "what-if" planning scenarios for a variety of market conditions without disrupting Agile backlogs.